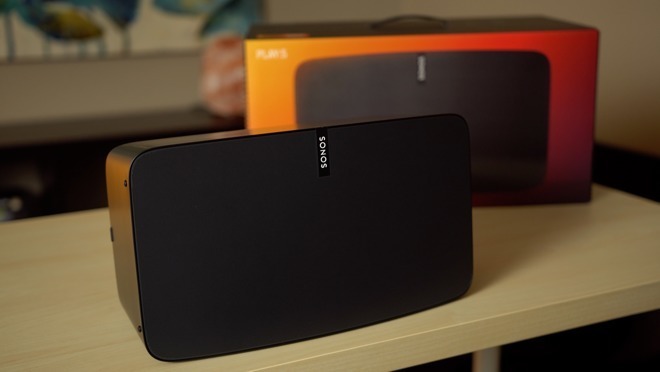 An existing Sonos speaker, the Play:5. Identified only as model "S13," the device is described as a "high-performance all-in-one wireless smart speaker" that "adds integrated voice control functionality with far field microphones," Zatz Not Funny noted on Monday. It should connect to "multiple voice platforms and music services," Sonos said. Past rumors have pointed to Sonos integrating Amazon Alexa into its platform. Today's filing, however, may be the first confirmation that hardware designed around that integration is coming. If the speaker does support multiple voice assistants, Sonos will presumably start with Alexa, Google Assistant, and/or Samsung's Bixby. Siri is highly unlikely, since Apple has so far restricted that technology to its own devices. The company is preparing to ship its own Siri-equipped speaker, the HomePod, sometime in December. In fact that device may compete more directly with Sonos products than the Amazon Echo, owing to a $349 pricetag and an emphasis on high-end audio. It's not clear when the new Sonos speaker might arrive. One possibility is an announcement timed to CEDIA 2017, a home technology expo starting Sept. 5 in San Diego.